Discover Timelines of Everything from DK! 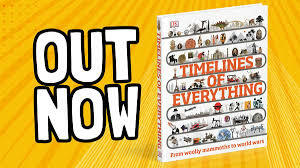 Discover Timelines of Everything, the perfect Christmas gift if you love facts! Explore over 130 incredible timelines illustrating a complete history of our world – from the prehistoric to modern day – and everything in between. Jam-packed with surprising facts and amazing historic details, such as the most bloodthirsty pirate of all time and the first crime to be solved by studying fingerprints, Timelines of Everything will take you on a whirlwind journey through the defining moments of history and all your favourite topics. From the creation of the universe through to the story of robotics, you’ll find a timeline on it all right here! A history of the samurai? Check. A history of space exploration? Check. Dance? You got it. Computing? Connected. What about feminism? Yes, that’s here too! 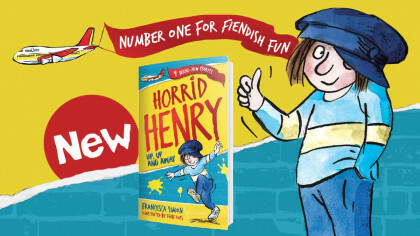 Prepare to have a new favourite history book with Timelines of Everything!